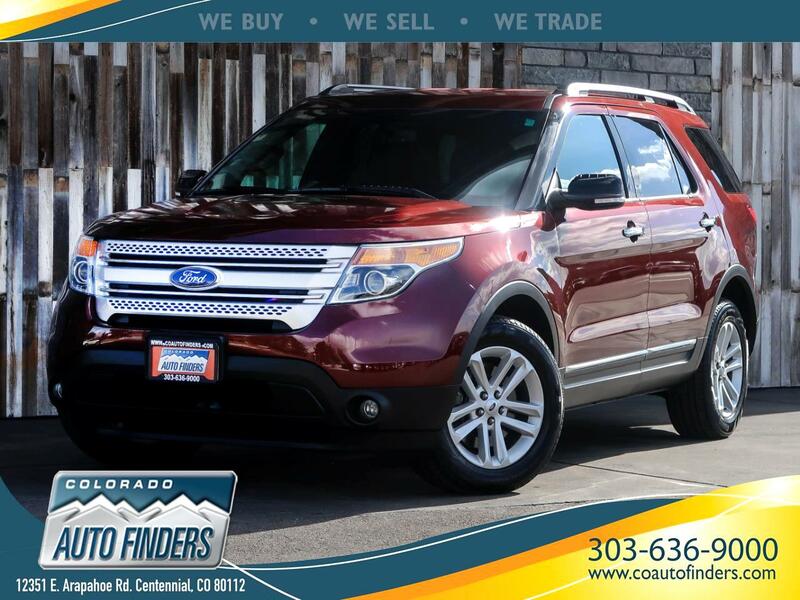 This 2015 Ford Explorer for sale in Centennial, CO. This Roomy 7 Passenger SUV has all kinds of features such as Backup Camera, Navigation, Heated Seats, Leather Seats, Leather Wrapped-Steering Wheel, Power Seats/Locks/Mirrors/Windows/Tailgate, Bluetooth, 3 Zone Climate Control, and Rear Parking Sensors. Your One-Stop Shop for all car buying and service needs. Can't find what you're looking for? We can save you time and money! We have a group of highly qualified and dedicated auto brokers will search the nation for your specific car needs. Colorado Auto Finders has been a proud member of the Better Business Bureau since the inception of our business. Let our ASE Certified Master Mechanics get the job done right! Our highly qualified technicians are ready to cater to all your vehicle repair needs. *All advertised prices exclude government fees and taxes, any finance charges, and any emission testing charge. * Some features listed may vary. Can't find what you're looking for? We have a group of highly qualified and dedicated auto brokers who will search the nation for your specific car needs. We can save you time and money! Call us direct at 303-636-9000 or visit us at http//www.coautofinders.com/ for more information. Colorado Auto Finders has been a proud member of the Better Business Bureau since the inception of our business. Features may vary per vehicle. All advertised prices excludes taxes, title, and emissions.